Site of a church since the Middle Ages. In Christian times the island was the site of the church for Herøy parish and the church was one of the four main churches in Sunnmøre. King Sverre Sigurdson visited Herøy a number of times on his way along the coast in the 12th century, and in 1263 King Magnus Håkonson was here. Clæmith in Herøyom is mentioned in the 13th century. He must have been a high-born man and was probably the owner of Herøy church, the marble church dating from the early 12th century. In the 14th century we meet Håkon in Herøyom, and Bjarne Simonson, the first priest in Herøy whose name we hear mentioned. 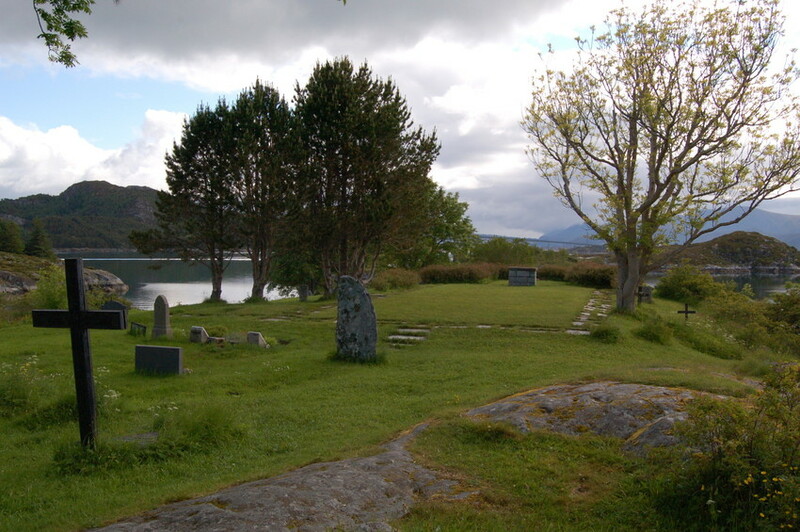 The feasting hall on Herøy is mentioned in 1433 when archbishop Aslak Bolt was here and “held conversations with the common people” of the parish.